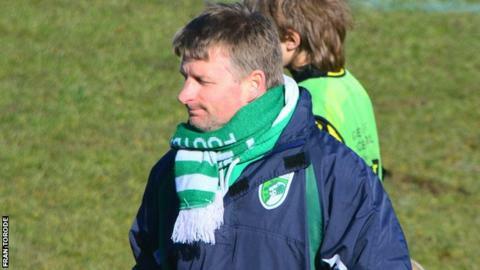 Guernsey boss Tony Vance says having a settled squad is a curse when it comes to teams preparing to face them. The Green Lions travel to Horsham to play the return fixture having lost at Footes Lane at the start of the season. "I used to do a fair bit of scouting but the teams change so much with the budgets they get given," Vance told BBC Radio Guernsey. "We're pretty consistent in that sense and the opposition know what they'll be playing against." Vance added: "They go and sign three or four players or the manager gets sacked it's makes a complete difference to their style. "We've got our group and that's our group - the footage we get is more beneficial to the other teams because I know for a fact they watch us. "While it's brilliant for everyone here it can be a little frustrating for me." Vance is without injured striker Dominic Heaume and midfielder Angus Mackay for the trip to Horsham as they bid to keep in touch at the top. "We're going to be missing two experienced players, they are leaders so it's a big loss," he continued. "We've got to stay in that chasing pack, within striking distance of the league play-offs and that's important to us. "That keeps the momentum going for us, you're always one or two results away from slipping away."